Wind them up and watch them go! 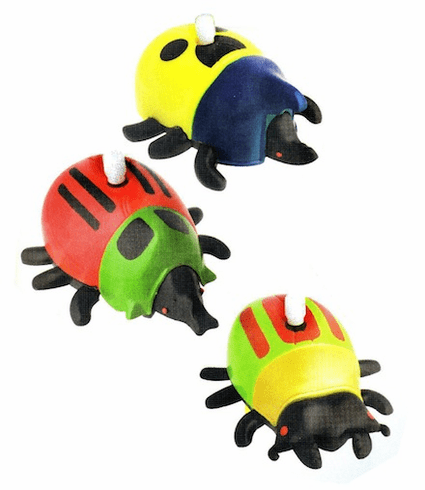 These hardy beetles may look clumsy but they actually feature a unique design that keeps them from falling off the edge of the surface you have them on. As they approach the edge, they sense it, turn away and keep rolling.